When BBC Radio 2 removed their ‘Listen to the Band’ programme from the weekly slot in 2018, Chapel FM (East Leeds FM) considered it their mission to continue the tradition of providing brass band music to their listeners by producing a monthly programme, aptly named ‘From the Bandroom’. 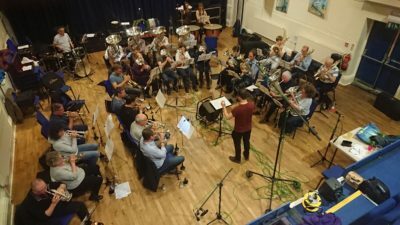 Otley Brass Band were proud to be part of the the continuing tradition of listening to brass band music by recording for the programme, the programme being aired on 26 March 2019 . You can listen to the programme, produced by Andrew Fake and recorded by Phil Driscoll ,on the ChapelFM/East Leeds FM ‘From The Bandroom’ section of their website (Programme #15) by clicking here.